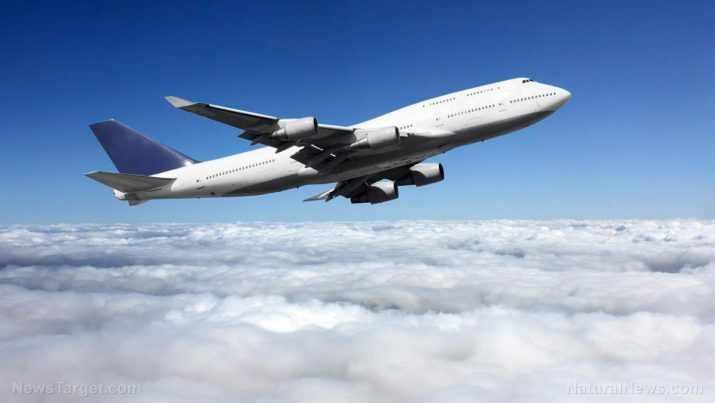 A shocking new study has shown that “toxic air events” are happening on planes more often than the Federal Aviation Administration (FAA) is willing to acknowledge. The federal government’s refusal to admit that these catastrophic events are happening — largely due to a common flaw found in almost all airplanes — is putting the health of passengers and plane crews at serious risk. As San Francisco’s CBS Local reports, the “open secret” in the airplane industry is finally starting to come out. In mid-July 2018, Flight 1097 was headed from Washington Dulles to Los Angeles — until they needed to make an emergency landing in Kansas City. The pilot reportedly told the control tower there were sick passengers on board. “My understanding is that the crew felt symptoms of nausea, itching throat. That is what caused the diversion,” she added. Jane explained that contaminated air had leaked into the cabin on Flight 1097 — but it wasn’t the first time something like that had happened. The thumb-twiddling FAA has known about these toxic air events for the last 50 years. The industry calls it a “fume event,” and many members of flight crews, and passengers, have been sickened by the leaking of toxic air. But instead of fixing the problem, leaders of the industry are simply looking the other way. And their employees are being encouraged to do the same. KPIX 5 has obtained audio from a recent Alaska Airlines conference call, where employees were basically told that they needed to stay silent about the toxic fumes if they wanted to keep their jobs. “We have a very strict social media policy. We will investigate those instances where people do not abide by the policy and the infraction can lead to termination, so please keep that in mind,” the voice on the clip cautions. Reports indicate that the July event on Flight 1097 was never even reported to the FAA. “There’s a large number of flight attendants who had symptoms but had never reported them,” he stated. Harrison added that in many cases, passengers may feel the symptoms of exposure, but may not attribute them to something as malicious as a toxic air event. While the FAA claims these air events happen in less than 33 out of a million flights, aviation attorney and pilot Mike Danko says the frequency is substantially higher — more like five times a day. “Most studies suggest that we get about five fume events per day in the U.S.,” Danko reported. Danko adds that toxic air has been a known problem on almost all commercial jets for the last 50 years. He explains that the toxic fumes come from jet oil, and that at extremely high temperatures, virtually all jet fuel will give off fumes. And those fumes can make you sick. “The fumes contain something called organophosphates. Organophosphates are neurotoxins. Same stuff that is used in nerve gas,” Danko says. “We have had cases where one pilot was essentially totally incapacitated, and the other pilot, although having difficulties, managed to land the plane, and that has happened more than a few times, without question,” Danko went on to say. See more coverage of stories about what makes us sick at Toxins.news.